AnonD-516526, 19 Mar 2016Very good phone but please be aware the Battery life is just under 4500mAh so not 5000mAh howe... moredid zen max has removable battery ? 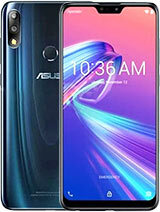 which is better Samsung j7 or Asus zenfone max? please i need ur help guys. 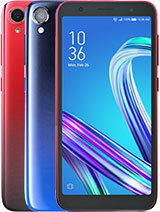 does this phone support double tap like the other zenfones? and anyone tried playing ppsspp games like tekken and others on this phone??? zul, 21 Mar 2016Which one better. 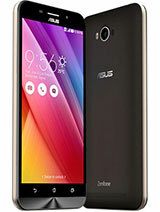 Zenfone max or samsung j7. 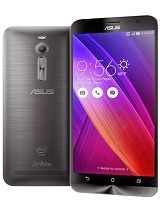 I can say, zenfone max. Why? Almost the same specs, however battery may differentiate. 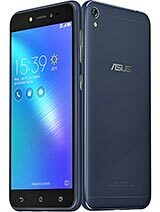 zenfone max is 5k mah. while j7 its just around 3k mah. Which one better. 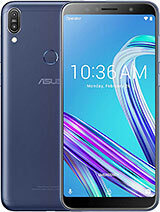 Zenfone max or samsung j7. Which one better. Zen max or samsung j7..anyone can help me please??? AnonD-516526, 19 Mar 2016Very good phone but please be aware the Battery life is just under 4500mAh so not 5000mAh howe... moreAs far as I read, the battery is non-removable, with a stated capacity of 5000mAH. Perhaps a lot of 'heavy' use diminished its capacity, as well as using different charging patterns than recommended.. What test did you conduct to ascertain the capacity of 4500mAH? If it was from an 'app', there is always very course approximations..
No Gyro sensor in this device !!!!!!!! i bought this zen last week and it does fine. i think for those who have experienced hang ups, of course, if this was more than 2GB ram then the price range wouldnt be the same. but if u really take good care of ur phones (such as frequently using preinstalled and must install products: Power&Boost, 1Tap Boost, CleanMaster, Save Power, and other apps that clean your phones. 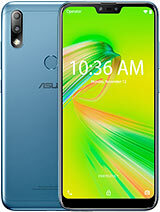 ), then you would really appreciate zenfone max. Ive been playing heavy games (>300mb) while multitasking in social media, have felt a little lag because of the game, if not, then it runs smoothly. moreover i was VIDEO calling my friend thru facebook, with my 7% battery life and i was surprised to have it approximately equal to 50 mins until it shuts down. jhaybee, 16 Mar 2016My asus max wont turn on or even charged.. I just bought it 3 days ago ive already did the pic... moreHas anyone experience the same problem i have?? I wont buy any asus model again!! Afiez, 10 Mar 2016I've been comparing charging time and current by using Charger Tester app. I tested using vari... moreIn reply to the various charging patterns, it is best to use the recommended charger for the phone.. It looks like the Asus charges with a regulated current of 1A, + or - 100mA, which gives a measurement between 900mA and 1100mA; quite normal. In the Samsung device, with a charger rated at 2A, has more voltage regulation, which reduces the current drastically as the battery becomes charged, so it minimises the heat dissipation by the battery.. It is hard to tell which side of the circuit this is done (the phone or the charger), but charging in general is best done by a 'constant current', and capped at a voltage which is full charge, to near zero current..
[deleted post]Sorry not sure why my message was posted twice? 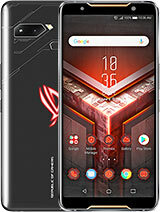 Very good phone but please be aware the Battery life is just under 4500mAh so not 5000mAh however I got 5 full days out of it about 120 hours + (Full charge 0-100 about 6 hours maybe quicker if the phone is off) in normal use, using duel sim, WiFi, playing music, light gaming like Candy Crush, video watching, taking photos etc. I also put it in Super Saver Mood at night for about 5-6 hours only drops 1 maybe 2 percent in that time so average 20% a day I use. To me calls my end hearing the other person talk is crisp clear, the camera in low light I find is brill but I was using a different camera app instead of the phones built in one but not tested out recording mode much yet. I'm very happy with this phone the only problem/s I have with it is the about 500mAh shorter battery life but it don't make much deference and the small LED light also and at the moment I haven't worked out a way of changing the vibrate intensity (maybe in an update that will change). It has a removable battery which is great. Not much more I can say just if you want a good phone with great battery life and a good night cam then go out and buy this bad boy.